Get Your Mixxx for Free! 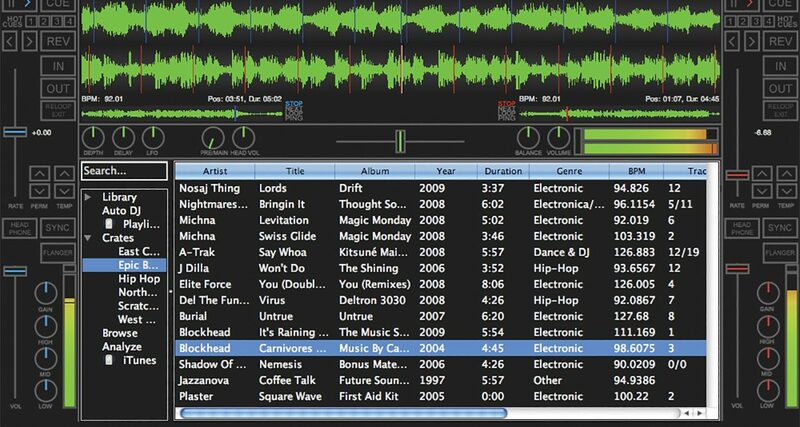 Are you one of the million DJs a year who download Mixxx DJ software? Which DJ software is downloaded over 1 million times a year, has been available for nearly 10 years, is jointly developed by over 30 developers and artists, and has just got an exciting new version release under its belt? The first thing to note in any comparison is just how expensive DJ software is. Decent versions of all the top packages will set you back a couple of hundred big ones, and this can do the job for free. For that reason alone it has to be worth serious consideration. 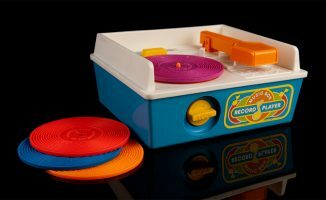 Do the new features make Mixxx a contender? A variety of skins are available to suit your taste – this one is very Traktor-esque, don\’t you think? While it’s undeniably still lacking some of the polish of commercial packages (then again, Traktor doesn’t exactly have the shiniest of interfaces), Mixxx looks like it’s really arrived at the party this time. 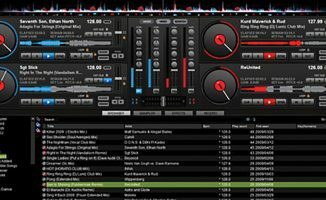 What’s more, there are PC, Mac and Linux versions available, meaning that it is certainly the most universal DJ program out there. 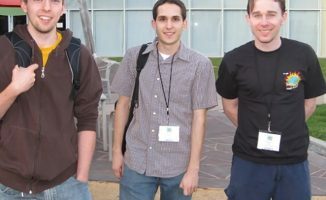 So, all good on paper – but what about the reality? We’ll have a full review of the software and an interview with the founders after we’ve put it through its paces, but meanwhile, why not download and install it to see if you feel it’s up there with the big boys? You can get it from the Mixxx website. 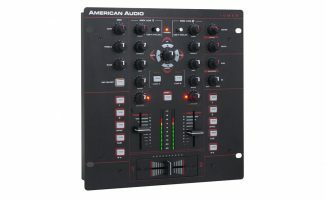 Over To You: Best Budget Mixer For Vinyl & MP3s? 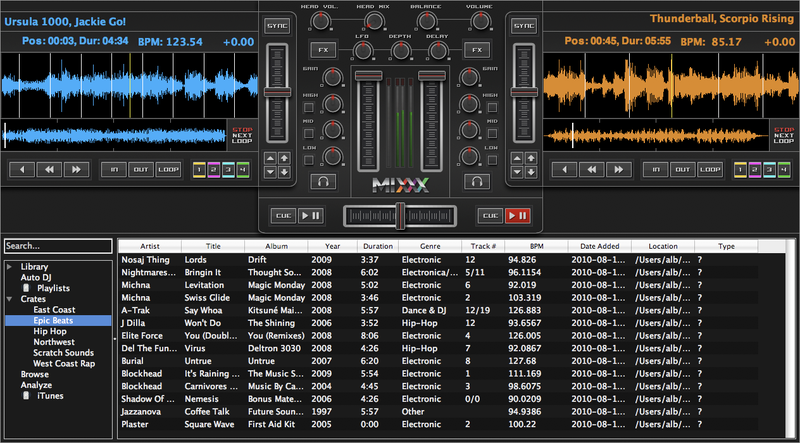 Mixxx is actually the first digital dj software I use to use and had it map out with no problem with my Maudio controllers for live performances. New features are promising. There are lots of good questions there. I am preparing an interview with the Mixxx boys and will ask some of these for you and report back. Btw, FX should not be considered (as a drawback) until they finish the rest of the product (there is always fx on a mixer or separate unit, or VST host for that matter). If I’m unable to cue my track properly why should I need (more) fx? Thanks for the info on this. Had never heard of this software. 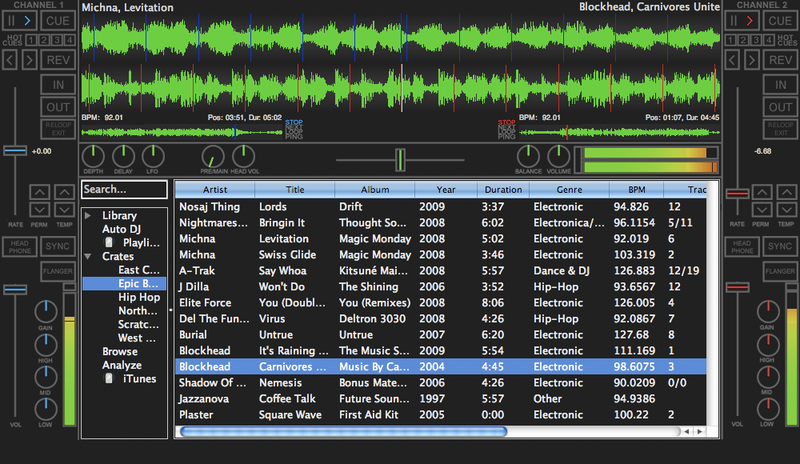 I’m just starting out and I can’t afford Traktor yet, so I might as well get started with a free software. Are the basics similar on Mixxx to other dj softwares like Traktor, in that if I learn this, I won’t have to restart the learning process when I eventually progress to a commerical software? Yeah, the basics are the same. 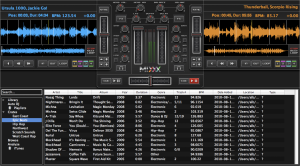 Also, Virtual DJ 7 Home edition is now free of charge – if you’re DJing without hardware (ie just using the computer), this is a good choice for learning on too. I find it laggy . Much.My Power Book G4 handles Djay better than my MBP handles this. Said this, it´s great to have a open-source mixing app full of cool features and multi-platform. It looks promising! Thanks for bringing it. I will stay using Djay but I will be watching for this gem.